Whether we like it or not, we’re living in a digital world. Not literally, of course, but we all probably spend more time reading from a computer screen than we’d like to admit — or is good for our eyes. With smartphone use, computer use, and tablets becoming commonplace at home and at work, you may have started to notice some of the negative side effects of technology. Eye strain, headaches, and dry eyes are all symptoms of too much exposure to blue light. Though the obvious solution to this problem is to limit screen time, that just isn’t a viable option for those of us who put in computer work day in and day out. If you’re looking for a way to protect yourself from screen glare and blue light without having to compromise your digital lifestyle, what you need is a pair of non-prescription computer reading glasses. If you’re looking for a little extra style, however, we have this awesome list of the most stylish blue light blocking glasses around. 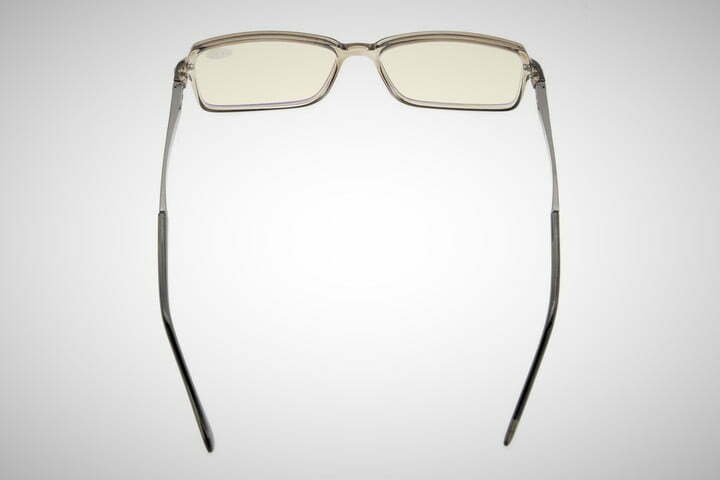 If you’re looking to grab a pair of reading glasses for your computer, why not get a second set as a spare? TheseTruvision glasses may not be prescription, but their anti-reflective coating and blue-tinted lenses will help you filter out blue light and avoid computer vision syndrome without having to go to an eye doctor. 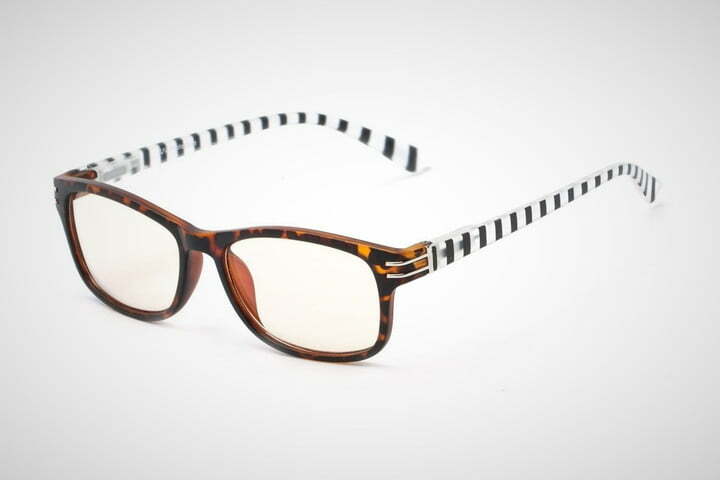 If you are already suffering from Presbyopia, these computer reading glasses can also assist with blurred vision caused by too much screen time. However, if you aren’t sure whether you’re actually experiencing computer eye strain or not, you should get yourself an eye exam to see what’s up — you may very well need a prescription. You can pick up two pairs of this computer eyewear for just $30 on Amazon and pick up a cleaning cloth or two while you’re at it. 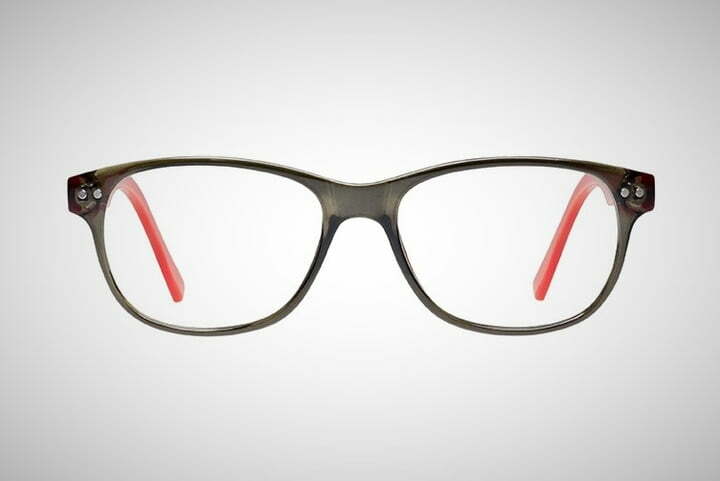 J+S Vision does a great job of creating high-quality reading glasses without sacrificing style. 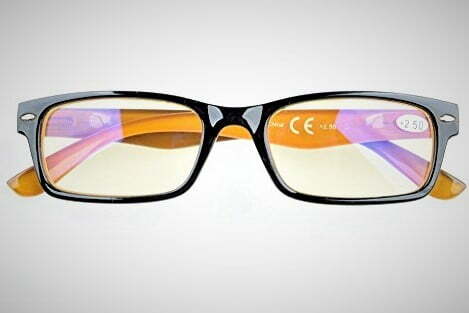 Though these spectacles have the same slight yellow tint you’d expect, your eyes don’t get overpowered by the color. They are also very comfortable to wear, so don’t be surprised if you completely forget you have them on your face. If you’re looking for a great pair of reading glasses for your computer screen that won’t cost you an arm and a leg, you can pick up these J+S spectacles from Amazon for just $25. This pair of screen reading glasses comes with an anti-glare lens coating, yellow tint, and just the right amount of style. While many of the reading glasses of this type you find online will be much the same, not all of them will look this good when you wear them. Any stylish reader knows that reading in style is always important. You can pick up these non-prescription readers from Amazon for $14, or take a look at these Felix Gray glasses for even more style. These yellow-tinted reading glasses not only come with everything you need to protect yourself from digital devices, they also feature an ergonomic memory flex frame. You can choose between different levels of lens magnification depending on what you need to combat blue light specific vision problems and eye fatigue. You can pick up these anti-fatigue over-the-counter glasses for just $13 on Amazon, so it won’t strain your wallet too bad. The yellow tint will make you look awesome, don’t doubt that for a second. These vintage glasses come with all of the UV, glare, and blue light protection you’d expect from any standard pair of computer glasses. However, they also look like they are straight out of the 1970s. Lucky for you, the ’70s are totally back in style. You can pick up these vintage anti-glare glasses for just $8 on Amazon, just make sure you check the magnification on them before you do. A lot of these eyeglass companies tend to focus on the harmful blue light emitted from computers, so it’s easy to forget that any LED screen can cause eye strain and blurred vision. 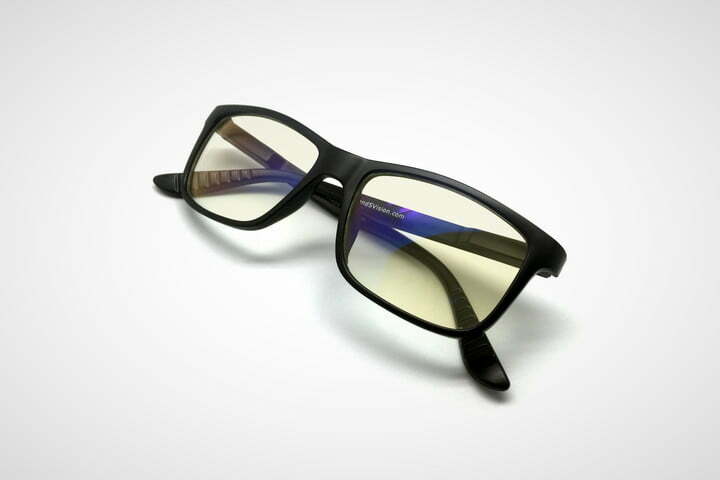 These gaming glasses will protect your eyes during those seemingly endless gaming sessions. 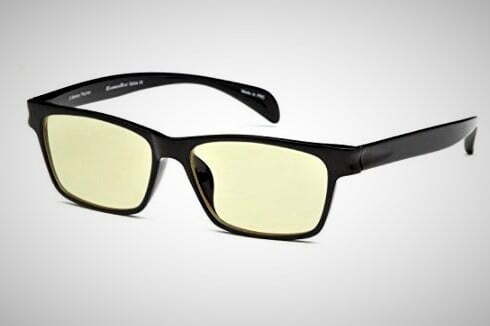 You can pick up these awesome gaming glasses for just $16 on Amazon. If you’re an avid reader, you’re probably looking for something that helps you look the part. 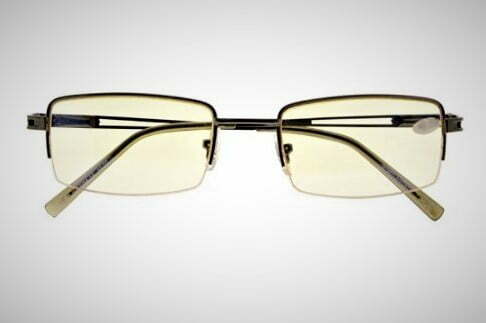 The partially rimless thinner metal frames on this particular set of computer reading glasses are perfect for proper protection against digital eye strain. Plus they make you look make you look like you’re an expert doing expert things. 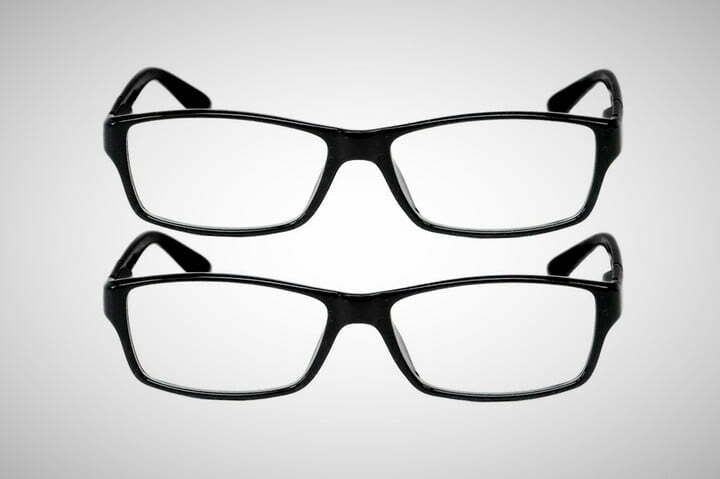 You can pick up these computer eyeglasses for just $13 on Amazon. If you need a pair of computer glasses that also solve age-related issues like seeing smaller print, but still allow for distance vision in each eye, this set of bifocal lenses should do the trick. With built-in spring hinges and a yellow tint, these spectacles are perfect for those looking to multitask while staring at multiple digital screens. You can pick up these headache relieving glasses for the price of $16 on Amazon. While these Cyxus computer glasses may seem just like any of the others on this list, there is one fundamental difference — a lifetime warranty. Obviously you can’t accidentally sit on them and expect them to repair your glasses for free, but they will help you out with any damage that isn’t man-made. If you’re looking for some glasses with a decent return policy, these are the specs for you. You can pick up the Cyxus blue light glasses for the price of $20 on Amazon. 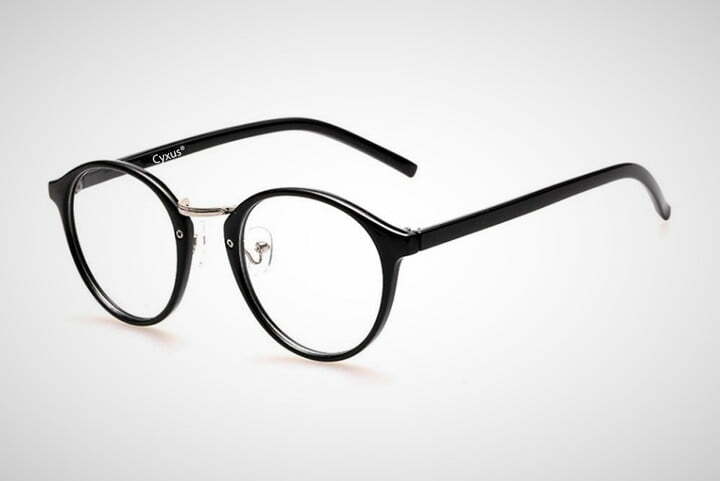 Can’t you just imagine sitting in front of a computer with these round spectacles? 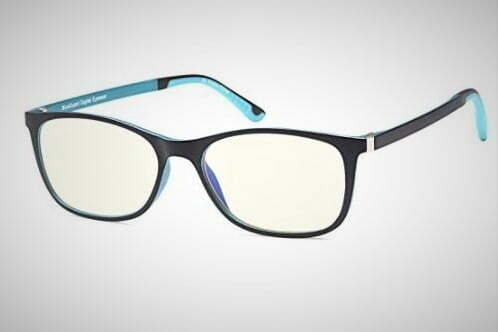 Since a lot of these blue light blocking glasses all pretty much accomplish the same thing for computer users, the real struggle is finding a style suits you the wearer. Readers.com has a great selection of multifocal, fully magnified, and progressive lenses to choose from — all at a reasonable price. On top of that, each set of glasses has multiple colors and styles to choose from, so you should be able to find exactly what you want. None of these glasses are prescription glasses, of course. Didn’t see anything you like? That’s probably because you need to get yourself some of these reader glasses to help you out. 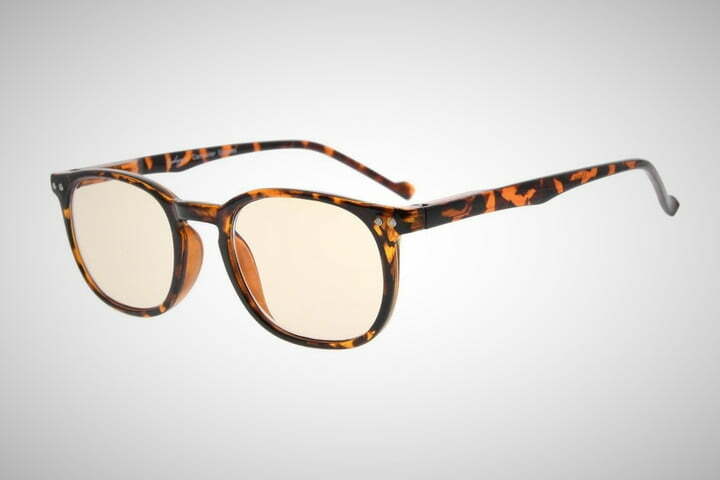 In all seriousness, though, if you’re looking for something a little bit more you, take a look at the eyewear from 39dollarglasses.com. They have a wide selection of clear lens frames and styles for you to browse, all for just $39. Looking for more cool stuff? Find computer deals and more from our curated deals page, or follow us on Twitter for daily updates. Published on Sun, 10 Feb 2019 21:10:56 GMT, © All rights reserved by the publisher.